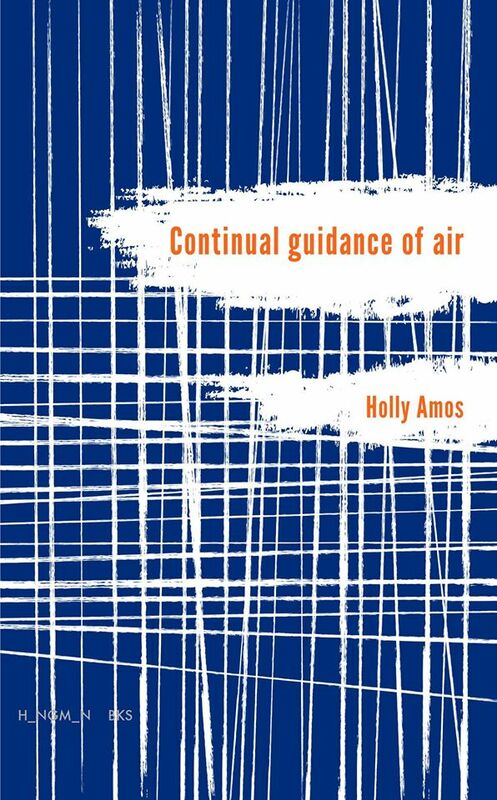 To coincide with the May issue of POETRY showcasing Australian poets, (hurrah), I invited the patient, compassionate, warm and super-efficient Holly Amos to give us a tour around her role as editorial assistant with the Poetry Foundation (Chicago) and her other life as poet with her first full collection imminent. She also tells us why she wouldn’t like Don Share’s job. 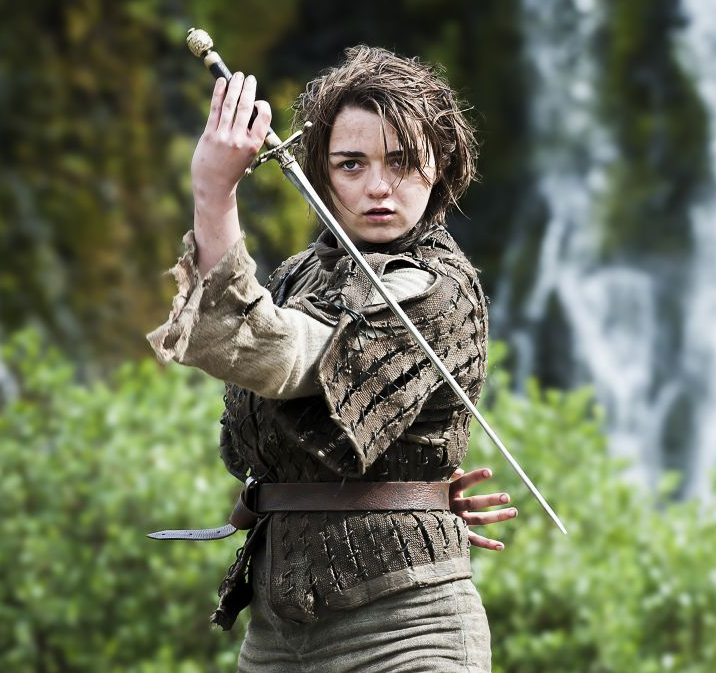 When I asked Holly what animal she was she said Arya Stark from Game of Thrones; two-legged, headstrong, independent, contemptuous of traditional feminine pursuits and trained in Braavosi style of swordfighting. I imagine this might be handy dealing with poets who don’t get their paperwork in on time. How long have you worked for POETRY, what are the joys and frustrations of the work and would you like Don Share’s job? About 2.5 years, and before that I worked as the Poetry Foundation Library Assistant, so I’ve been with the Foundation for a bit. Joys: a beautiful building where nobody questions if you’re sitting on the floor to work or have taken your shoes off; emailing with contributors – poets are seriously wonderful people and it’s really fun to see what their email personalities are like; reading, copyediting and fact-checking all the poems that we publish – it’s such a different way to read poetry! Also, I have incredible coworkers. They’re weird, funny, brilliant, and kind. Frustrations: reading, copyediting, and fact-checking all the poems that we publish! Some of the most amazing poems are terrible to copyedit because they’re just loaded with so much information that needs to be verified – it can be really tedious, though a fantastic way to learn. I’m sure it’s no surprise but some poets are not great at returning paperwork and all the follow-up can be a bit frustrating, but it’s been a great lesson for me about how I can make the lives of admin folks a lot easier! Would I like Don Share’s job? No. I’m pretty sure you’re only allowed to sleep 4 hours a night and receive emails intravenously. How many poems do you receive each week, what are the chances of being selected and how many readers do you employ? It ranges from about 500 to 800 submissions a week, so depending on how many poems are included in each submission … a lot! Christina Pugh is our consulting editor, and she and Don Share (the editor) read everything – there’s nobody else! A few things get passed around for feedback, but it’s really just them. Because we get so many submissions, the changes of being accepted are small, percentage-wise. But the good news is that even if you get a rejection you know one of the editors actually read your work, not just a reader. What is the process of sorting poems and how are poems selected for an issue? That’s honestly almost entirely Don. Basically I send him an email reminder to let him know when I need copy by and he just hands it over. Sometimes there’s input from the Assistant Editor, Lindsay Garbutt, or the Art Director, Fred Sasaki (who often brings visual work Don’s way), but it’s really mostly Don. Of course we’ve had a lot of themed issues and portfolios lately and that’s another story. Those issues have another set of hands really shaping the issue, though Don works really closely with them in doing so, from what I understand. Tell us how you came to poetry yourself. What were your early influences? Being a weirdo kid in a small town. I was just always observing. I used to walk the corn and bean fields around our house just looking for rocks, thinking. And I’ve always been a big reader and a big feeler, which are basically the poetry genes, right? I had a great English teacher in 7th grade, Mrs. Kendall, and that’s the first time I really remember reading and thinking about poetry. I was also the kid who would buy a CD and go home immediately and open the booklet to read the lyrics. I’ve just always been obsessed with expression. In terms of specific poetry influences I don’t remember really early ones. I was always more into fiction as a kid, but at some point in undergrad poetry got a hold of me. I was really into Jim Daniels’s Blue Jesus and Bob Hicok’s This Clumsy Living. Those are the first individual collections of poetry I really remember getting into, and then I just started going to Barnes and Noble and buying lit mags and reading them cover to cover. What books do you have next to your bed or most recently on your bookshelves? Emilia Phillips’s Groundspeed, francine j. harris’s play dead, and Gabriel Gudding’s Literature for Nonhumans. They’re all so different, and I love them all. Apart from poetry, I’m always reading/thinking about/recommending John Vaillant’s The Golden Spruce, which is nonfiction. That book changed me in very real, tangible ways. Can you describe a day in the life of an editorial assistant at POETRY? What advice would you give to poets who want to be published in magazines like POETRY? SUBMIT! Seriously, #1 most common reason for not being published in Poetry is folks simply not submitting. Just. Sub. Mit. Can you see any styles in poetry trending at the moment? Work that’s political, social-justice focused. I wouldn’t say it’s trending so much as poets are just responding to the world at large, which is a world in flux. Big things are happening, are trying to happen, and poetry is right there. Earth Balance vegan mac and cheese, the 4 non-human people I live with, Bravo TV, and being able to connect with poets on a daily basis, either in person, via email, or over the internet. By-and-large, I just think poets are the best people. I feel very fortunate to be so connected to so many other folks who genuinely are trying to better themselves and better the world. And who really support one another. If you were an animal, what would you be? Arya Stark? What colour are you? Some gorgeous shade of gray. What animal would Don Share be? I think we should ask him – I’d love to know what animal Don would WANT to be. Use them! I’ve always wished I could know what other people were thinking, even though in reality that would probably be horrendously depressing. It’s my first! It’s due out from H_NGM_N, this fantastic indie publisher here in the States, sometime this year (fingers crossed). I would say there are about three types of poems in the book: animal rights ones, relationship ones, and existential ones. There’s a lot of light, but not a lot of lightness! I think you also asked me how much time I devote to my own practice: It really varies. Right now it’s a lot of copyediting and proofing the book before it goes to the printer. I moved into a house and anytime I change physical living locations I feel like I have to get into a new routine. I don’t have a lot of free time at home, at the moment, but I’m in the yard a lot with the dogs and on the train a lot, so I’ve started typing poems into the notepad in my phone. I just try to take advantage whenever I feel like writing. I don’t force it. If I ever feel like I really need to do some poetry-related work then I’ll revise or submit or just read. but unable to feel wind. Too many leaves stuck there? so that people can drink milk. animal rights on my body. to move out of the ground. & how eyelashes break a cheek. This is a flood and we are turbulent with color. never tasted their own flaring skin? I open the book of colors & read to you. every time a poem ends. This poem appears in e-chapbook ‘This is a Flood’ (H_NGM_N Books) and Pinwheel. We are all writing poems about you and your deep, wobbly voice. This poem is not about you, Frank, but you can take a nap here. I am trying to make something. I am trying to make the violins and the grass and the soft gray sidewalk. in that way of a thing happening. Does the poem know what is going to happen? in this world. In Lakeview. With an apartment to write your babies in. all rubbing together it starts little fires everywhere. Holly received a BFA from Bowling Green State University and an MFA from Columbia College Chicago. She is the author of the chapbook This Is A Flood (H_NGM_N BKS, 2012). 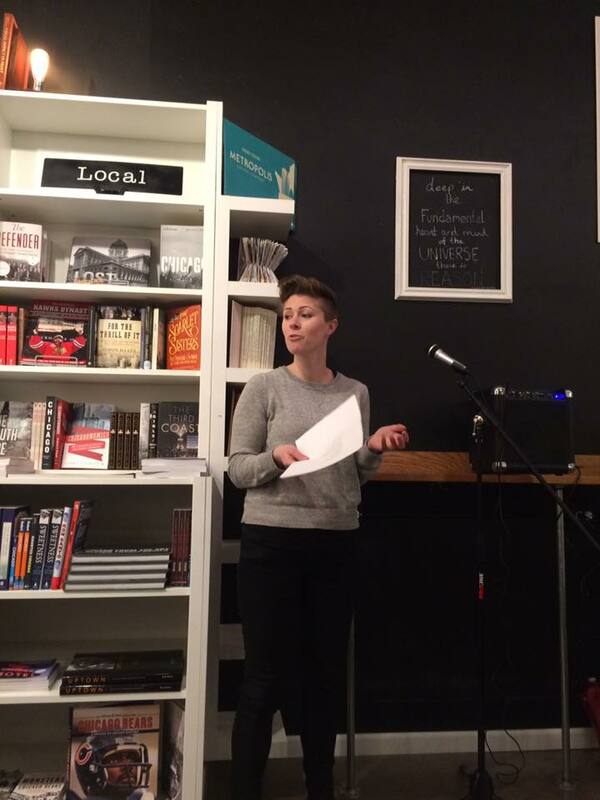 She co-curates The Dollhouse Reading Series and is the Editorial Assistant for Poetry magazine and an Assistant Editor for the online journal Pinwheel. Her poems have appeared in The Bakery; Bateau; Forklift, Ohio; Ilk, LEVELER; Matter; Phantom Limb; RHINO; and elsewhere. The Aussie Issue of POETRY here with poems from Gig Ryan, Sarah Holland-Batt, Samuel Wagan-Watson, Michael Farrell, Jaya Savige, Robbie Coburn and more!